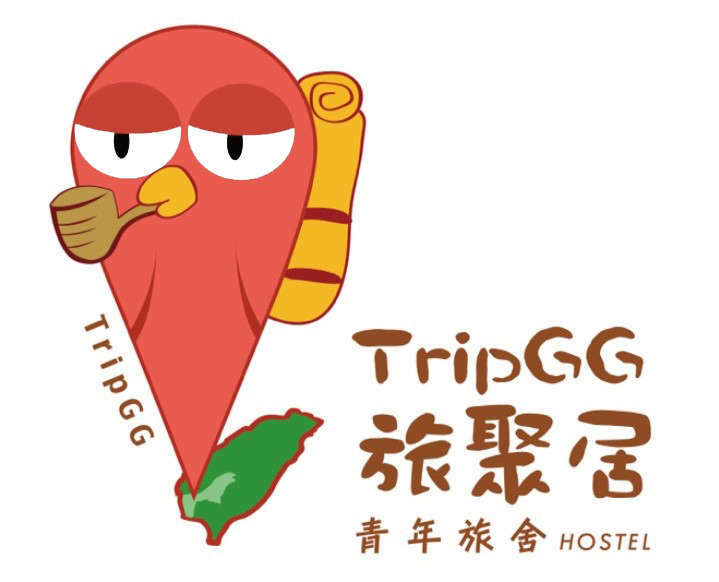 TripGG Hostel has started since 2015 August. We, the owner and staffs, are travel lovers and love staying at hostels when we travel. We hope to build a dream hostel after we experienced so much at different hostels. What we want is collect laughing, different cultures and extraordinary ideas and keep sharing the stories. The guests always forget the time when they are at our common area. They will talk and talk til late night or just sit on the sofa and look out the window for whole morning. 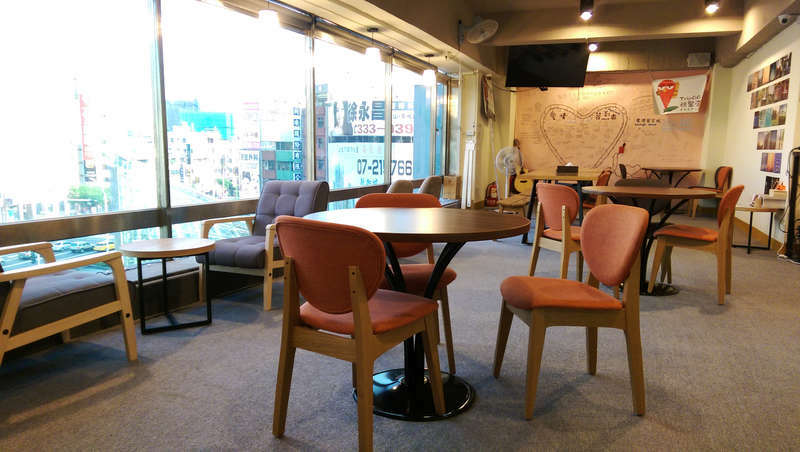 Travelers can not only meet new friends here, but get chill with the city view. Our staffs are always friendly and patient to introduce the city. Sometimes, the staffs will show the guests around or have a chat with guests overnight. It happens all the time that the guests become their friends. We have 8 rooms of dormitory type with bunk beds and shared bathroom and 2 suites with private bathroom. In the dormitory room type, each bed has curtain to keep sleeping private area. Personal read light & universal outlet are next to each bed. Personal locker and air conditioning are our standard facility. Each room has at least one window with nice lighting. In the suites, towels, toothbrushes, slippers, a razor and a comb are offered. In the dormitory, towels are offered. In the shower room, we offer shower gel, shampoo and hair dryers definitely. For the travelers who would take public transportation: You can find the MRT(Metro) station from Kaohsiung International Airport, HSR station or Kaohsiung main station. Please Take MRT to Formosa Boulevard MRT station, Exit 1. Our hostel, which is next to Hua Nan Bank, is only 10 meter away from the exit. We are at 6th. Floor. 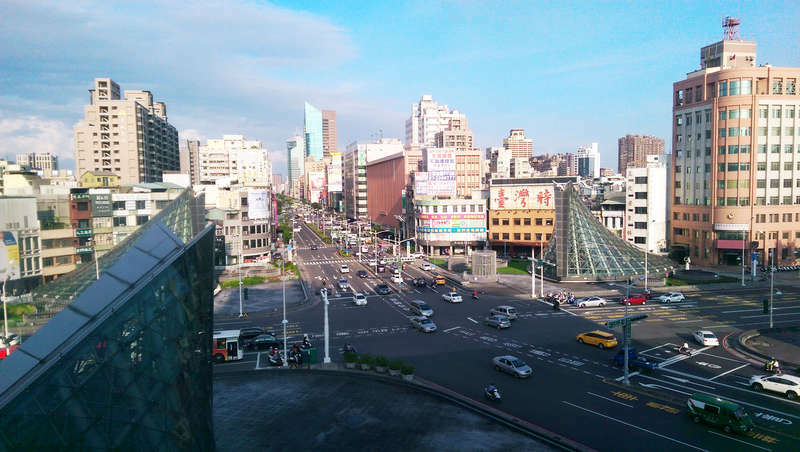 If you travel by driving from freeway No.1, you could get into Kaohsiung city via exit of Zhongzheng loop. Then turn right, driving along Zhongzheng rd. to crossroad of Zhongzheng rd. and Zhongshan rd. Our building location is right next to the Centre Hotel.